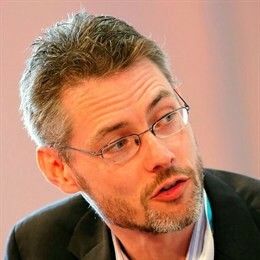 Personalisation and creativity seem to be the two growing trends shaping the future of radio, according to James Cridland, radio futurologist, writer, consultant, and Managing Director of media.info. From NPR to other radio stations such as the British Absolute radio, many broadcasters are trying to customise their services. In this interview, Cridland explains how the radio landscape is changing and what we can expect for the future. 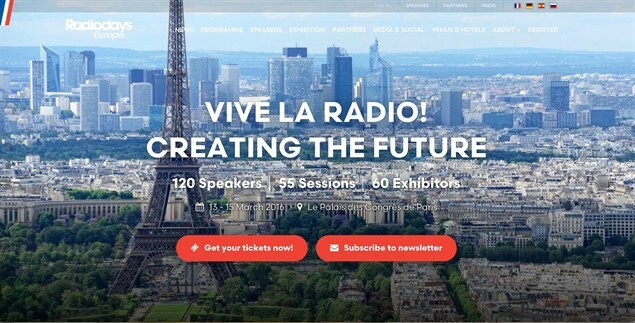 Cridland is also among the organisers of Radio Days Europe, the annual conference on best practices and new trends in the radio industry that will be held in Paris on 13–15 March 2016. Could you tell us what new trends you are observing in the radio industry? What is the biggest and maybe not most obvious shift for traditional broadcasters in the past year? There are a bunch of different things. Radio, for instance, is becoming more personalised and less reliant on live. 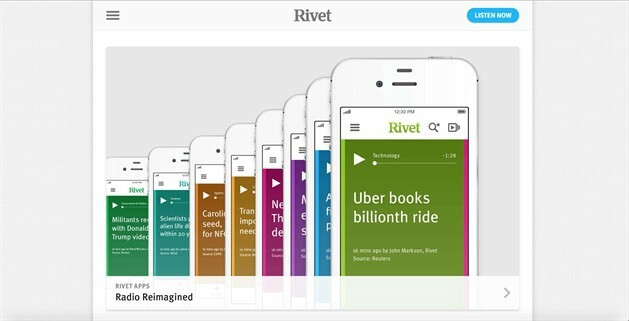 So, we are seeing companies experimenting with their personalised service, like NPR in the USA with NPR One. The way this services work is: they know what you are interested in and provide you more of the stuff that you might like and less of the stuff that you might not. The same is happening with music services like Pandora, which plays a bunch of songs that it thinks you might like. About the two examples that you just gave, NPR is a traditional broadcaster that’s diversifying into personalisation, but Pandora seems like a really big threat to those traditional broadcasters, don’t you think? I think that a great radio station is something more than just a non-stop music channel, and Pandora has yet to really make any money. It keeps on losing ten million dollars every single month or so. But there are many other interesting examples from broadcasters across Europe and across the world. 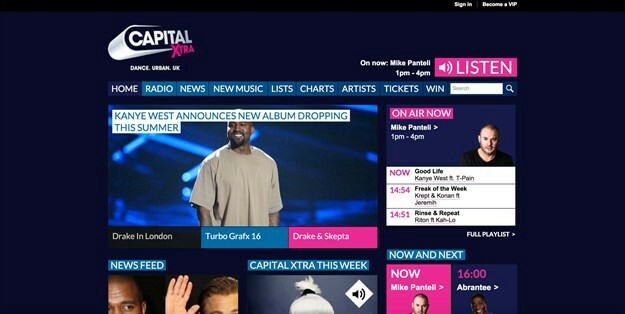 One is CapitalXtra, in the UK. When you are listening to this radio, if you want to, you can press the skip button and go to the next song that the radio station would have played, and you still hear the same DJs. So it’s a very personalised radio experience, and that’s something which lots of people are playing around with: if you look at NRJ out of Paris they have a bunch of web-only radio stations which are delivering a lot of very interesting content to people who are very interested in certain things. Given that more and more mobile phones, tablets and laptops are being sold every month, why isn’t streamed live internet radio growing? I think this is because the user experience is wrong for an interactive connected device [like the smartphone]. We need something which is much more personalised, much more granular, than just a linear stream tuning into somebody else’s iPod. There is an audience for online radio, but it is very small: in the UK it is about 7 %, and that figure isn’t too dissimilar when you look at Norway or Germany. Here in Australia it is 11 %. 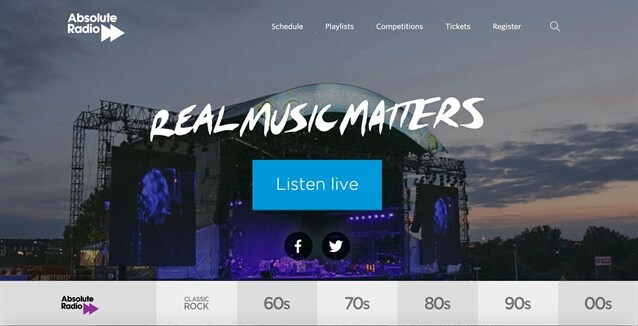 I would certainly not say to anybody to “come off the internet”, but the future of radio is not streaming a live radio station online, the future of radio is much cleverer than that. Broadcast as well as non-broadcast media organisations, such as newspapers and news sites, are investing in audio content at the moment. We see legacy media such as The Wall Street Journal are having a go at publishing podcasts on platforms such as Panoply for example. Do you see this investment as worthwhile? Do you think podcasts will play a big part in the future of the radio industry? Podcasting might be a great way for broadcasters to invest into content and earn some money out of it. What we are seeing with podcasts consumption is that it is still quite niche but there are large numbers coming out now. Podcasts also work well as very cheap ways of being able to create great audio, and more and more radio stations are broadcasting them as well. If you look at the top ten podcasts in any European country and in the US, you’d see all of the major broadcasters are right up there, whether it is NPR in the US, BBC in the UK, NRK in Norway, and so on and so forth. I think podcast is just a different form of radio, it might not be on FM or AM but it’s just another great way of getting great audio content to you. It is radio delivered in a different way. Technology, at the end of the day, shouldn’t really matter, it is whether or not the content is great and if the content is great then, fantastic. So, I think there are now more options for great creatives than there have ever been in the past to make fantastic audio. Do you think that radio is still a collective experience with all the personalisation that’s going on? Are people still calling radio stations to request songs or interact with the DJs? Radio is still a shared experience with that human connection. People who write a lot about technology automatically assume that all the radio is on demand and is personalised, but 92–93 % of radio listening is live. I was talking to the BBC World Service last week, doing an interview about why radio stations still have music request shows on, and I think that taking part in a request show is still very much part of what radio is all about. You can still talk about things on the breakfast show in the morning and you can change the news literally with some of the things that you end up doing. Although, I should say, a podcast is still actually a shared experience, it doesn’t necessarily need to be consumed at the same time. We saw that with Serial. In an interview with Dana Chivvis, she told us she was surprised that people would all tune in as soon as the episode dropped on Thursdays. It was so anticipated that it actually did replicate that collective experience. Serial is a really interesting case. If we just look at series one, it has 100 million downloads, so far 75 million of those downloads happened in 2015 and there wasn’t a single episode of Serial series one produced in that year. So, yes, lots of people went to get it as it dropped, but then three times more people went back to download it to have a listen for themselves. 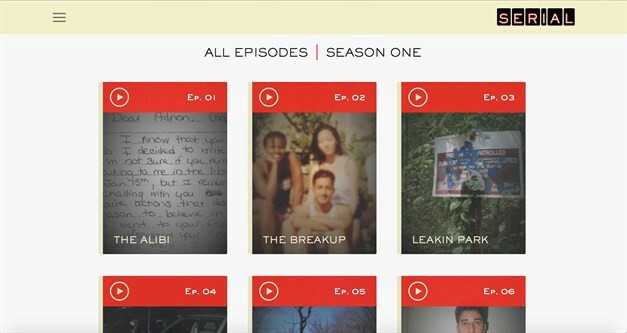 Serial is almost like a box set, and I think what it showed is that there is great opportunity for the long tail, for the archive that already stations have, to be made available in a different form. This archive has massive, massive opportunity. This idea of stations keeping their content alive is interesting but I think it will be so hard to replicate what Serial did, don’t you? Absolutely. There are still a lot of people who are producing podcasts that are getting great download figures, and getting great revenue out of it as well, but I think Serial itself did really show the opportunities you can actually get and I think it’s interesting. Have a look at ICI Radio Canada, the French speaking broadcaster, they’re working a lot with one of their archives and they will talk about it at Radio Days Europe. I think the opportunity we have with archives is amazing. What about monetisation? How is it changing things and what kind of opportunities are out there? Monetisation is changing a lot, and it is interesting to look at how some of the companies are working. There is a radio station in the UK called Absolute Radio that launched another six different versions of its radio station. Each one just plays music from the 1960s or the 1970s or 1980s, and so on, but actually is the same radio station: it’s got some of the same presenters on, and if you listened to the breakfast show, it is exactly the same on all stations, but whenever the presenter goes to a song, you hear a different song depending on which one you are listening to. And that wasn’t too expensive for that radio company to set up. What that actually meant in terms of audience figures is doubling the amount of time spent with the Absolute Radio brand, and with double the amount spent, of course, you can double the amount of cash that comes in. You can be creative also about the way you do advertisement: doing things that aren’t just the 30 seconds ads of a man shouting at you about where to buy a new car. So there is this one radio station in the UK which changed its name: it used to be called XFM, and it changed its name for one day when the X-Men [“X-Men: Days of Future Past”] movie came out to XFMen radio and literally everything on that radio station for a day was all branded around the X-Men series, and it was a really interesting way to promote a movie. Absolute Radio launched another six different versions of its radio station doubling the amount of time spent by the audience on each station. How about audio branded content? There was a really interesting example not long ago of a fictional sci-fi podcast called The Message which was co-produced by General Electric on Panoply. It was branded content but sounded nothing like an ad. What do you think about this model? I think it’s not something really new, GE used to run a radio show on CBS radio called GE theatre that was hosted by Ronald Reagan. I think that what is interesting is what new technology offers and how audio creatives can use it. New technology offers you all kinds of additional creative opportunities. The BBC, for instance, if you look at some of the radio stations that it has been broadcasting recently, they’ve literally only lasted for four days. Here in Australia the ABC does the same sort of thing with a channel they call ABC Extra: for example, they recently had an entire day of talking about the radio industry for the World Radio Day. It’s just that there are many more opportunities because of what new technologies offer. In your opinion who are the industry innovators to watch out for, both among the big broadcasters and others? Who is doing really interesting stuff? What advice would you give to a traditional radio broadcaster today on how to prepare for the future? My advice would be to forget everything that has happened before. That’s because we are in a new world in terms of how people are consuming content. Some radio broadcasters have what I call a “transmitter mindset”: they exist because they are there to feed the transmitter with some audio, and that’s the thing that drives them every day. That transmitter mindset isn’t necessarily a good thing for the way radio is going, so I always tell people to think about what content they have, what they can do with that content, and how they can get the best value out of it: can you actually broadcast it again in a different time slot? Can you do something different with it over a weekend? Online? Can you take an edited interview that you broadcast and put the raw version online? What you can do with that in terms of on-demand, how you are archiving it, how you are taking that audio and doing other things with it? So, all of that stuff is really important and it is about getting away from the transmitter mindset and actually realising that there are tremendous opportunities available to you, if only you will make the most out of the content that you have. What speaker or specific sessions are you most looking forward to at Radio Days Europe? One of the things I’m really looking forward to is the premiere of the movie, “I Am What I Play”. It’s a tremendous starting point to actually understand the obsessiveness of people working in radio, what people love about radio and all about that. It’s absolutely brilliant. In terms of the speakers, the people I’m most looking forward to are Kyle and Jackie ‘O’ [Kyle Sandilands and Jackie ‘O’ Henderson]. They run a tremendously popular breakfast show in Sydney, Australia, they managed to pull their entire audience from one FM station to another one. Really my problem with Radio Days Europe has always been that there is so much to see and only a couple of days for actually seeing it.